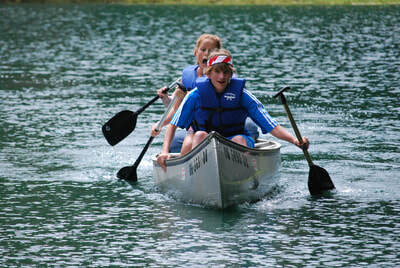 We offer a variety of activities for camp and retreat guests! The smell and serenity of sitting around a campfire at night is great; whether you use it as a time for a lesson or simply a time to relax, that's your call. 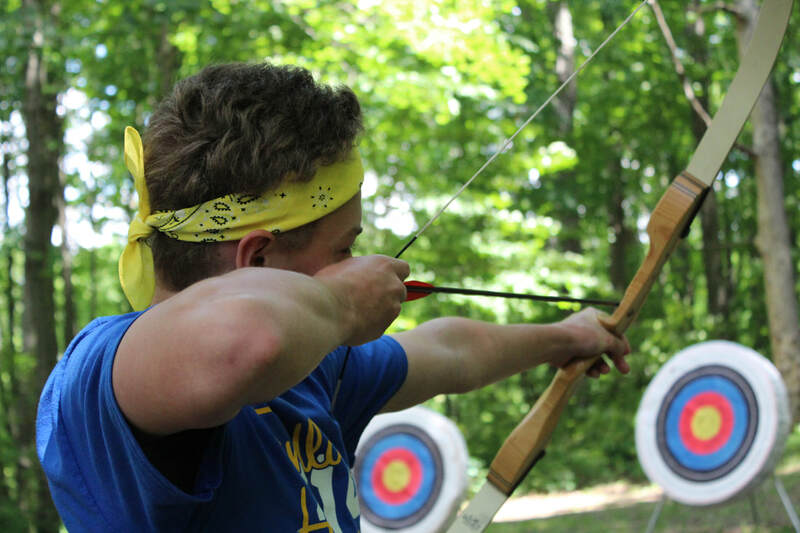 Archery is a great way to get in on the camp action without having to be super active. How close to the bullseye can you get? Our team challenge and team building course has a wide offering of elements and games so that there is something to challenge and build your group. 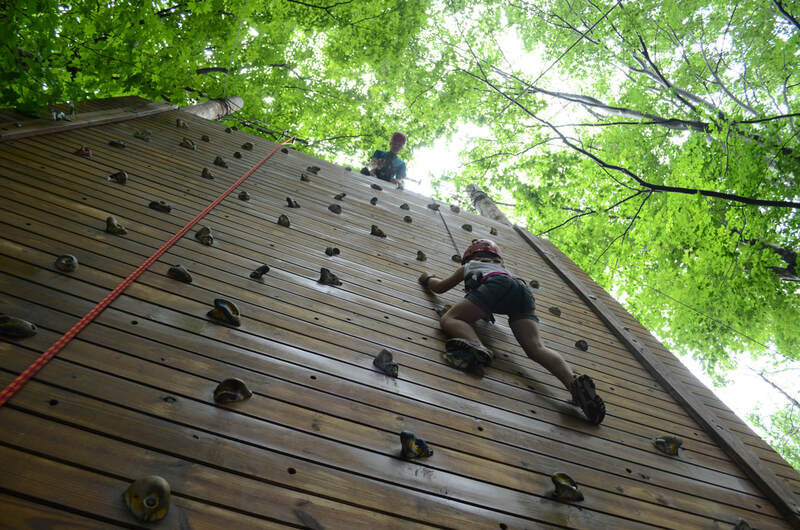 Our climbing wall is a great way to expand your comfort zone and reach for new heights. Connected to the wall is a high ropes course and zipline. Otyokwah has a great vast field by the pavilion that is great for outdoor play; whether a traditional sport, or some crazy group game. 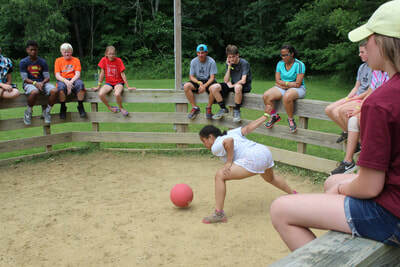 Gaga Ball is a game loved by many. 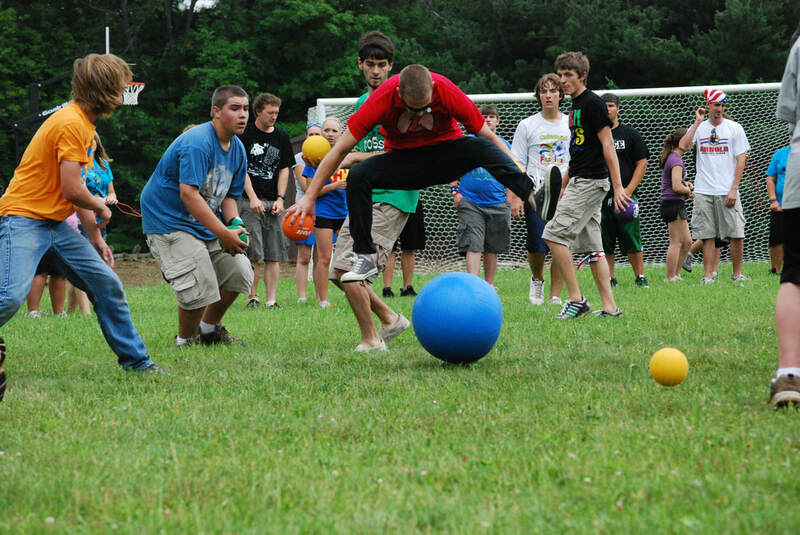 It is best described as confined space dodgeball. 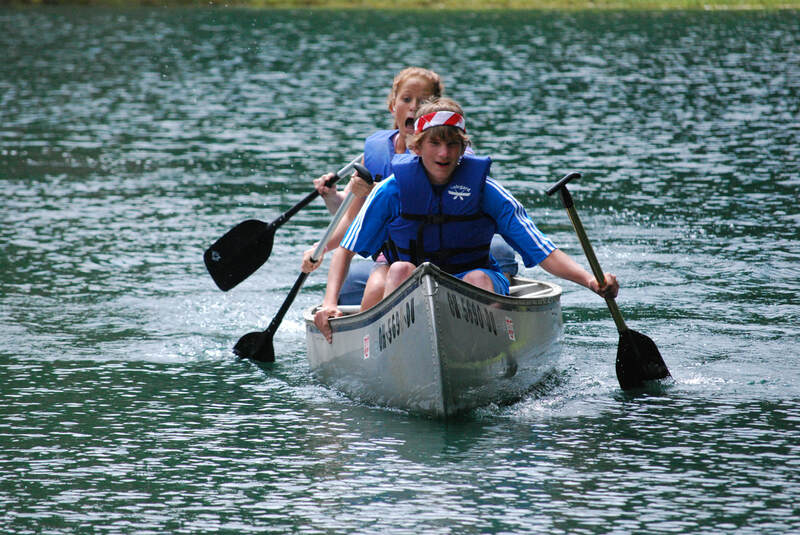 Memorial Lake is excellent for canoeing, fishing, or just sitting around and admiring the scenery. The game room is a great opportunity to take a break and join in on some friendly competition. 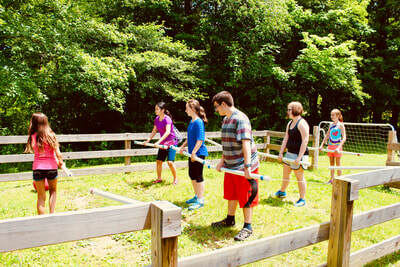 Human Foosball ... just like regular foosball, but you get to participate more. 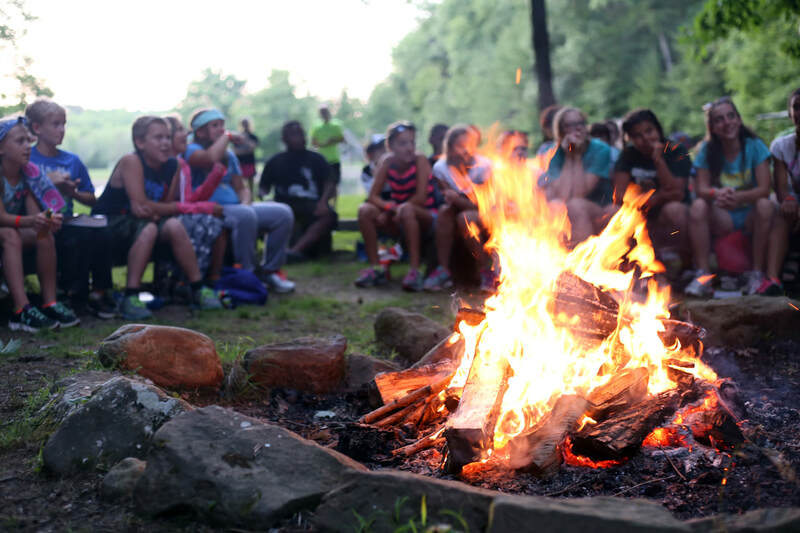 The Blob is a camp favorite. 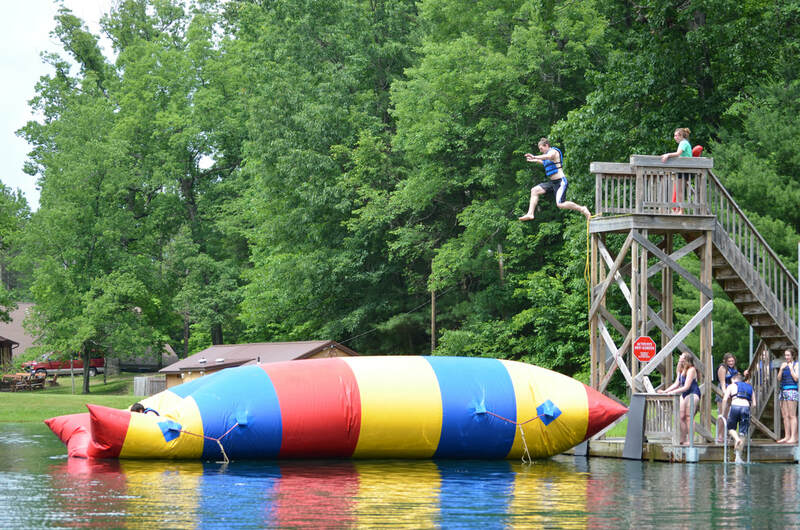 From the thrill of jumping, to the excitement of getting launched in the air, it is sure to be a hit. 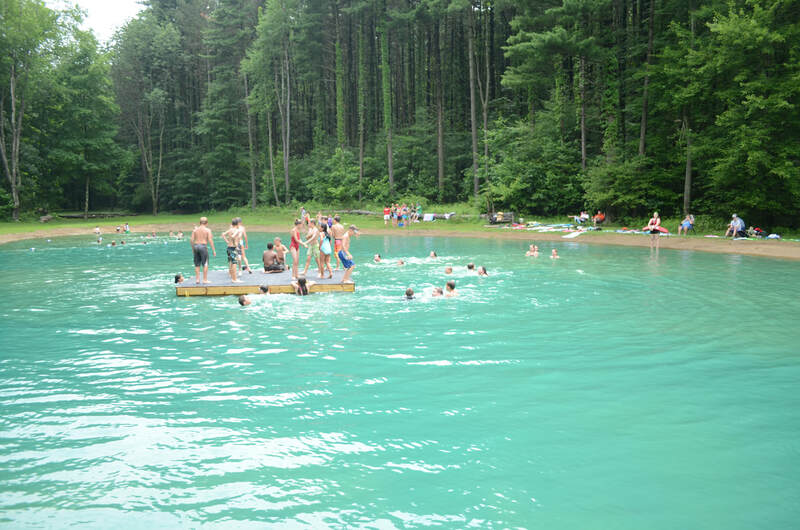 The Swim Lake features a shallow and deep end. The deep end has a floating dock in the middle. 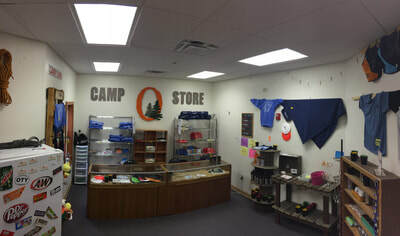 The Oty Camp Store is a great stop for Oty Apparel and Gear. 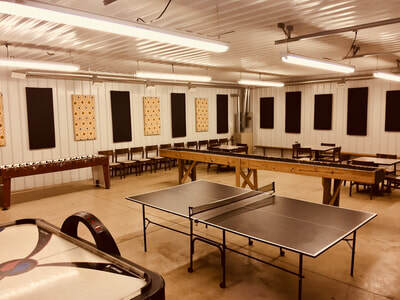 * Activity area facilitated by our trained staff. 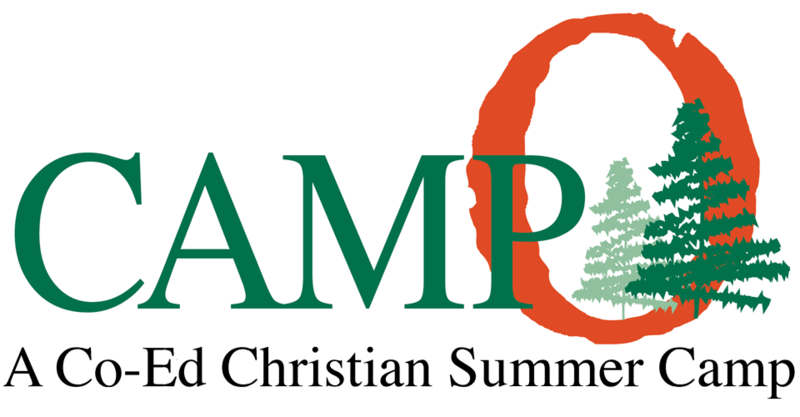 Fees involved outside of summer camp season. See rental pricing page for cost.